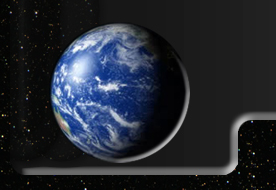 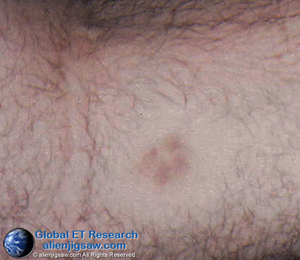 The same AE with a pinpoint triangular marking, enlarged. 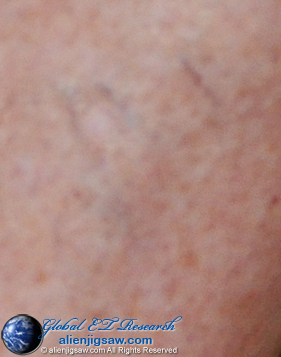 Close-up of needle mark inside the raised, puffy portion of the wound. 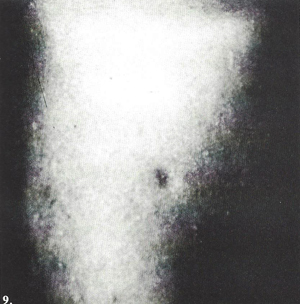 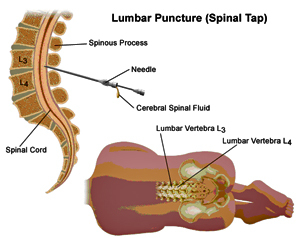 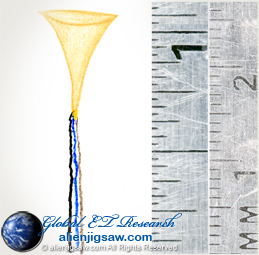 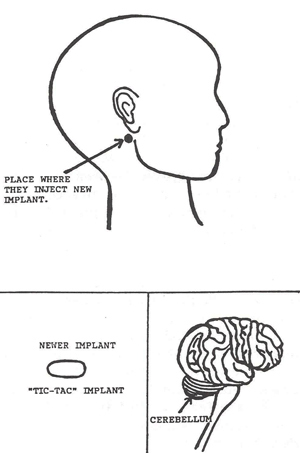 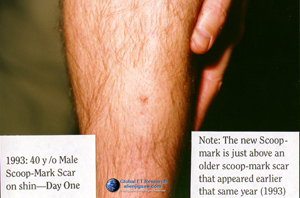 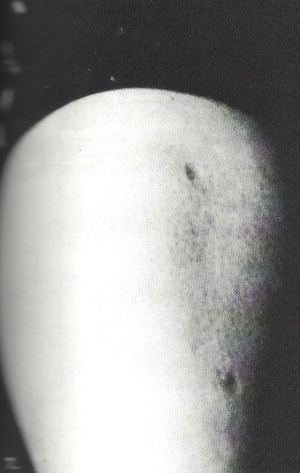 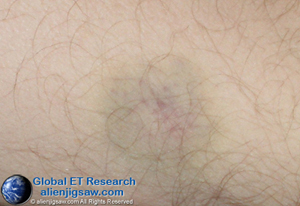 ET Abduction involving lumbar spinal procedure - most likely a MILAB - “spinal tap.” While the bruise and wound do not look severe, the pain the AE was left with was described as nearly debilitating. 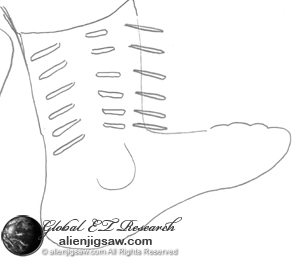 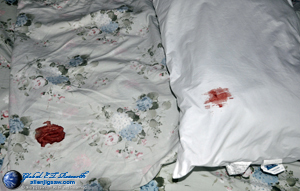 The AE said they had difficulty walking, experienced headache, muscle weakness, and leg pain for many days. 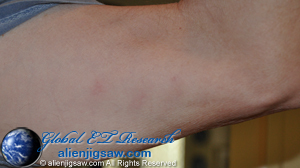 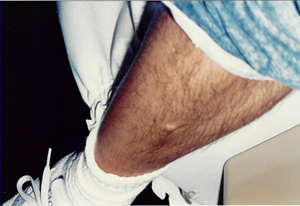 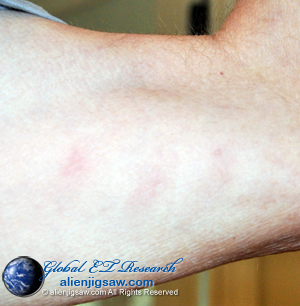 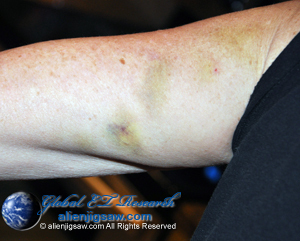 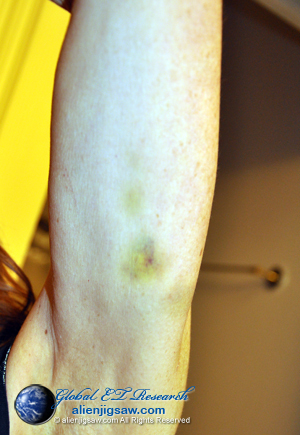 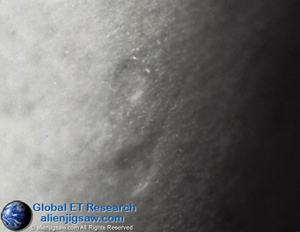 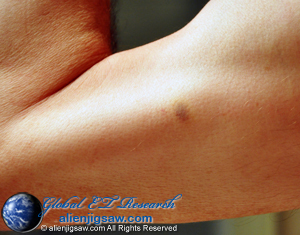 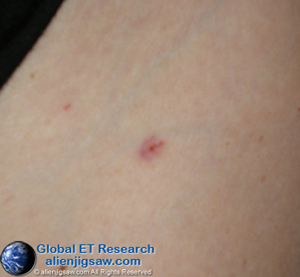 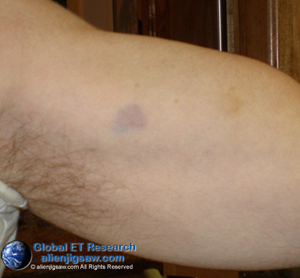 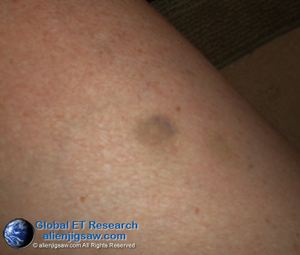 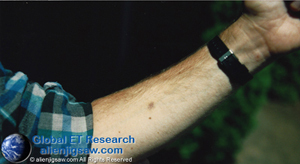 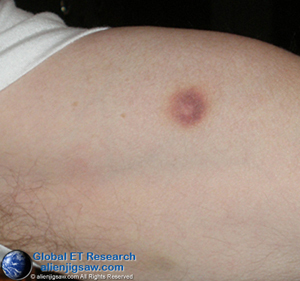 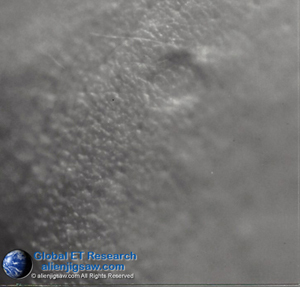 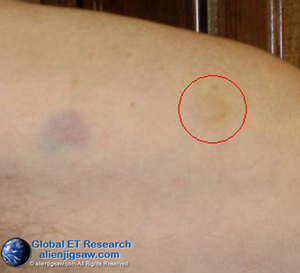 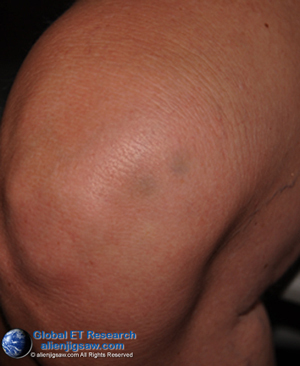 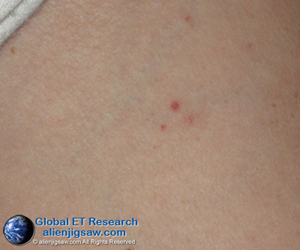 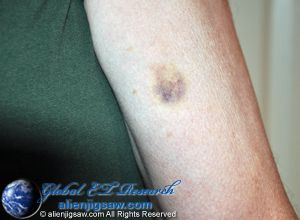 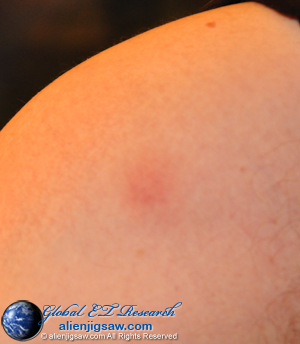 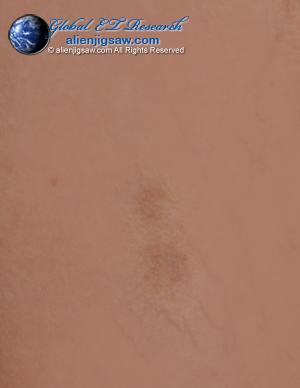 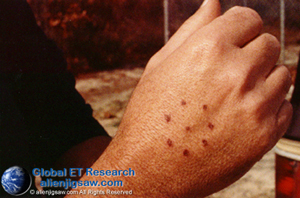 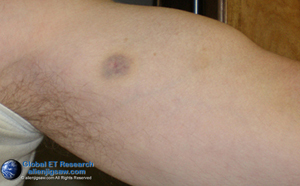 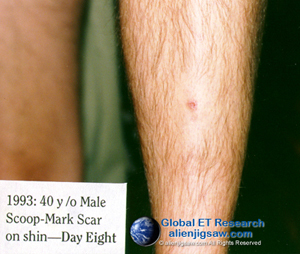 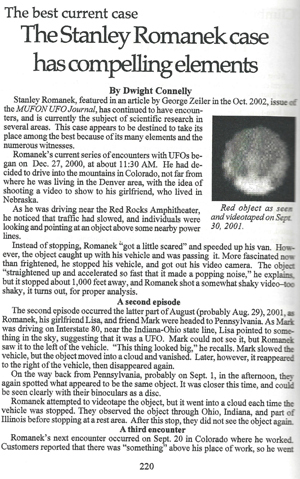 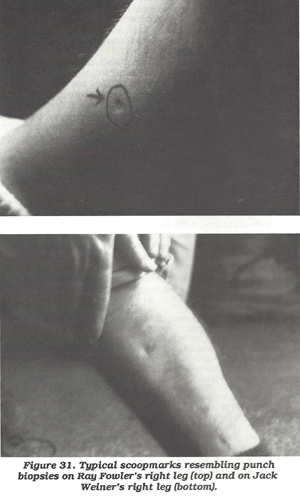 “Eraser” type bruise on bicep of AE (abductee-experiencer). 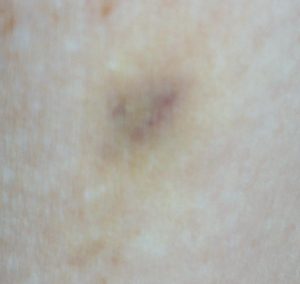 When these eventually heal or fade, they leave behind very small freckle like marks. 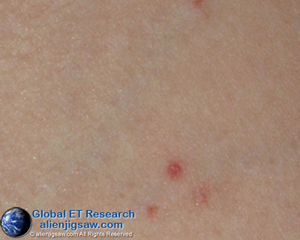 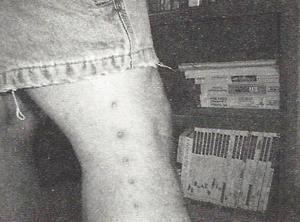 A dermatologist would not recognize them as anything unusual. 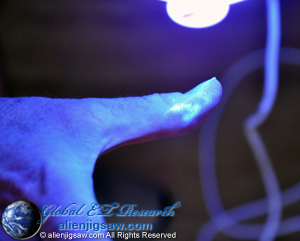 We believe these are made from skin contact with an ET device called a stunning wand; a longish, thin, rod about the length of a knitting needle.